At the center of French Town lies Bharati Government Park, an escape from all the city heat and bustling noise. The family-friendly refuge contains all necessary amenities for a leisurely sojourn in the outdoors: ponds, benches, sculptures, and even an occasional spot for shooting movies. Prepare food and beverages and have a delicious picnic under the cool tree groves. Besides exploring the calming park, you can also visit the nearby museum to see a collection of Roman artifacts, or the art gallery built in colonial style, among other surrounding institutions. 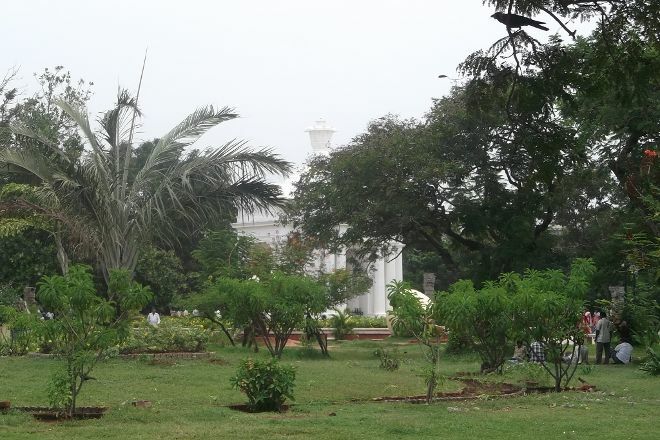 Arrange to visit Bharati Government Park and other attractions in Pondicherry using our Pondicherry day trip site . 1. Ambience 2. Spacious 3. Serene 4. Garden 5. Resting place 6. Free entry 7. Parking 8. All over beautiful and lovely place for joggers and walkers too. It's near to the hospital hence you can rest there too in case you have to wait. Prefect place for evening walks. The entry fee is free. Government Park was once the location of the first French garrison and Fort Louis which were destroyed by the British. In 2006 the park was renovated and several new sections were included to make it more attractive. It is a beautiful and peaceful park ideal to spend time with family or for a morning / evening walk. The park is a nice spot near the beach. People can come here after a walk to have a nice time or to even have a small nap. The ambience is good, safe for children as well. People can come here to play badminton, throwball and the like; or even have a small picnic. 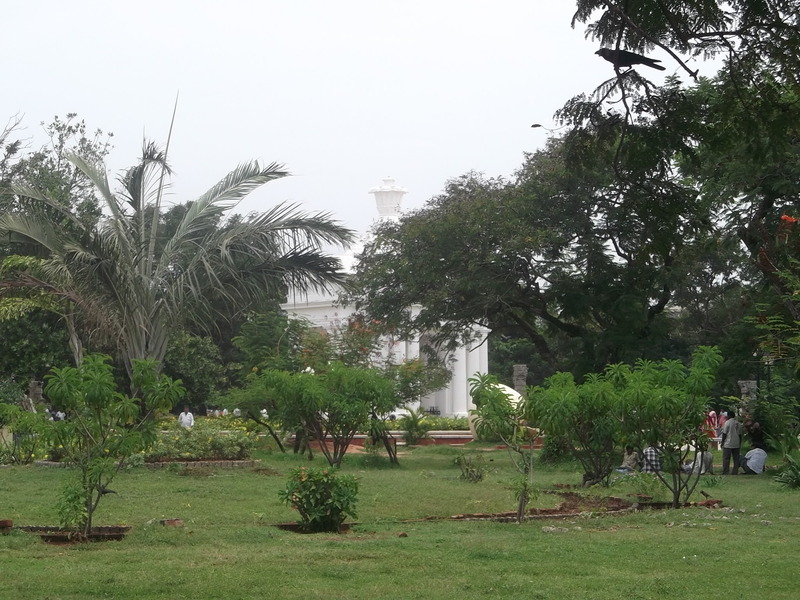 Bharathi park is good to visit it has it's silence and we can have our time spent well there in this park. And it's clean and green and we can grab our snack there and just have a visit to this park. Every day, we help thousands of travelers plan great vacations. Here are some tips on how to use your Listing Page to attract more travelers to your business - Bharati Government Park. Promote your permanent link - https://www.inspirock.com/india/pondicherry-pondicherry/bharati-government-park-a849966467 - on your website, your blog, and social media. When a traveler builds a plan from this page, the itinerary automatically includes Bharati Government Park. This is a great way for travelers looking for a great vacation in your city or country to also experience Bharati Government Park. Promoting your link also lets your audience know that you are featured on a rapidly growing travel site. In addition, the more this page is used, the more we will promote Bharati Government Park to other Inspirock users. For best results, use the customized Trip Planning Widget for Bharati Government Park on your website. It has all the advantages mentioned above, plus users to your site can conveniently access it directly on your site. Visitors to your site will appreciate you offering them help with planning their vacation. Setting this up takes just a few minutes - Click here for instructions.